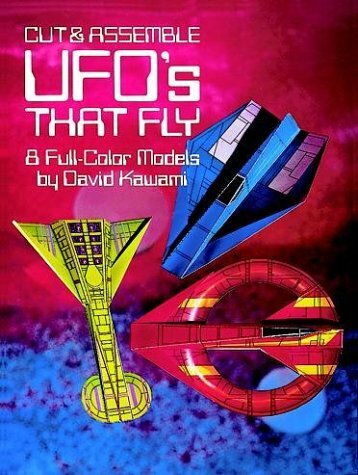 Futuristic model collection featuring 8 full-color, easy-to-assemble UFO models that really fly and a crew of 8 incredible aliens ? Sabot, Ulsac, Nim-Gelb, Kendar, Kormath, Lom, Rom-Lux, and Dek. Includes instructions and diagrams for assembling and flying. 8 aliens and their spacecraft. Directions.